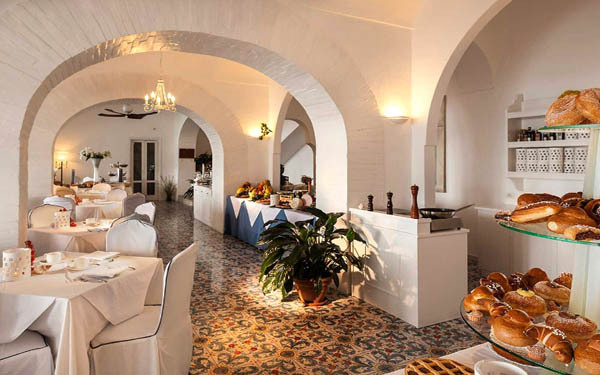 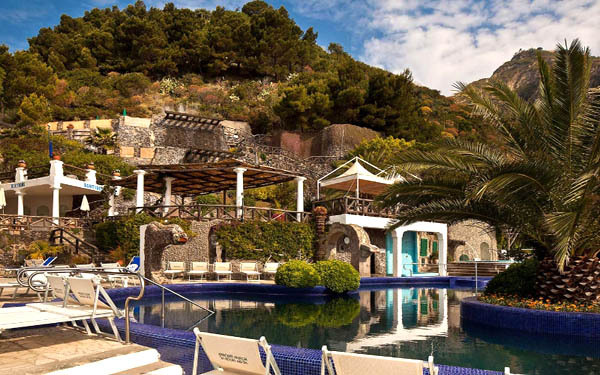 The Miramare Sea Resort is a large complex just a short distance from the village of Sant’Angelo, one of the most exclusive parts of Ischia and an international jet-setter destination. 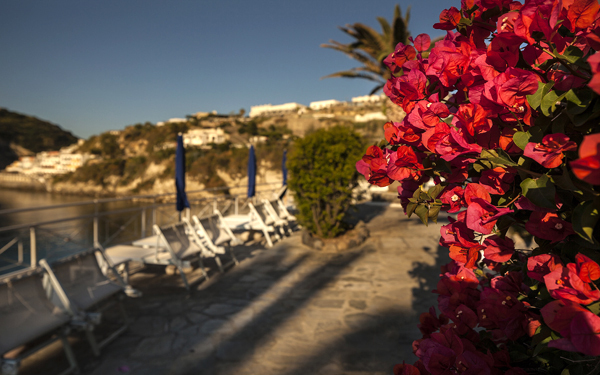 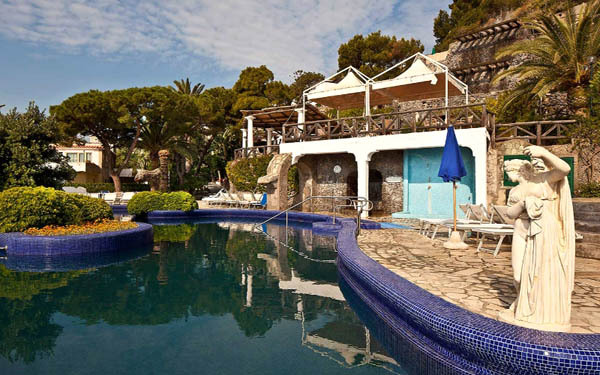 Nestled between the volcanic rock and facing the Maronti bay are the various properties that make up this resort: Hotel Miramare, one of the most famous hotels on Ischia; the Apollon Club, a Leisure Club made up of 4 villas hidden amongst the Mediterranean bush; the Aphrodite-Apollon Thermal Park which boasts 12 thermal pools and various well-being facilities; and the Luxury Villa with a panoramic terrace and this property can host small groups of guests. 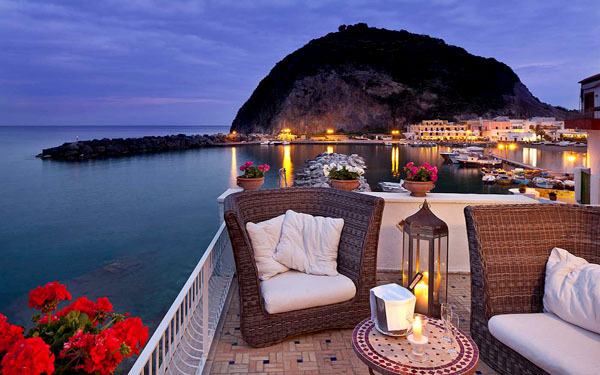 Furthermore, the resort has a private beach which is only open to guests, and the so-called “Miramare Rock”, a platform made from volcanic rock that is connected to Hotel Miramare’s bar. 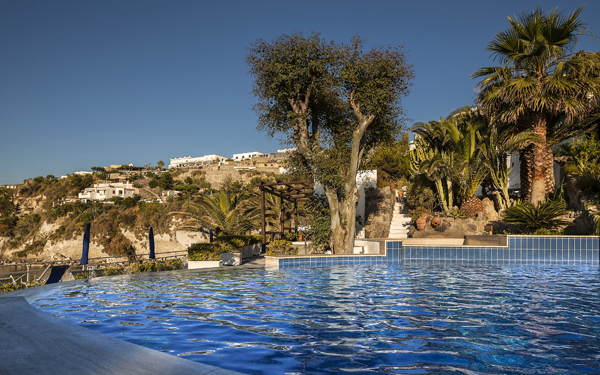 They gym and tennis court are available for sports lovers, and guests can even rent canoes at the hotel or take part in yoga and Pilates courses. 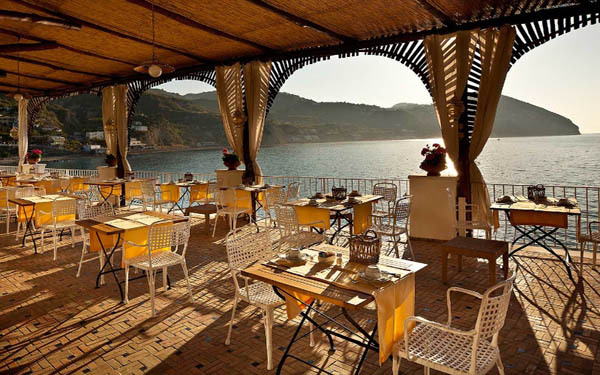 In addition to all this, there are 2 restaurants onsite and 3 bars, which serve snacks and salads. 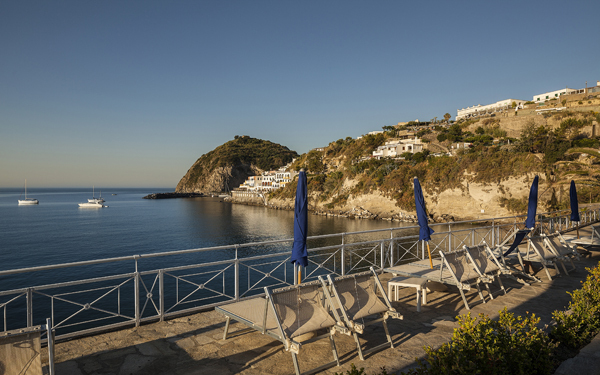 The Miramare Sea Resort is also the ideal location for congresses or work meetings thanks to the congress centre which can host up to 250 people and which boasts a panoramic view. 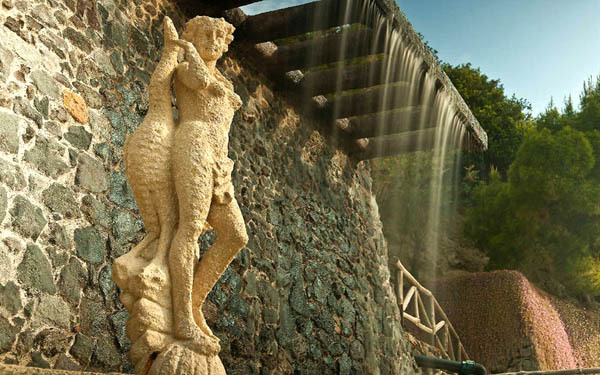 The Miramare Sea Resort thermal park expands over 7000m² and boasts a total of 12 thermal pools heated to various temperatures between 20°C and 42°C. 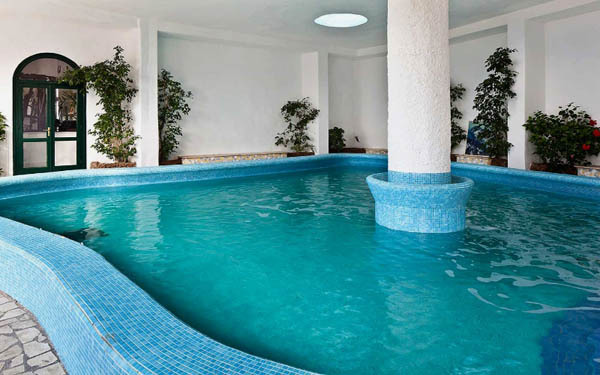 Natural saunas, Kneipp circuits, waterfalls, Jacuzzis, an Olympic sea water swimming pool, naturist area, indoor pool and beauty farm can all be enjoyed here, and face and body treatments, such as anti-cellulite and aesthetic treatments, massages, reflexology, electrotherapy and more, are carried out at the beauty farm. 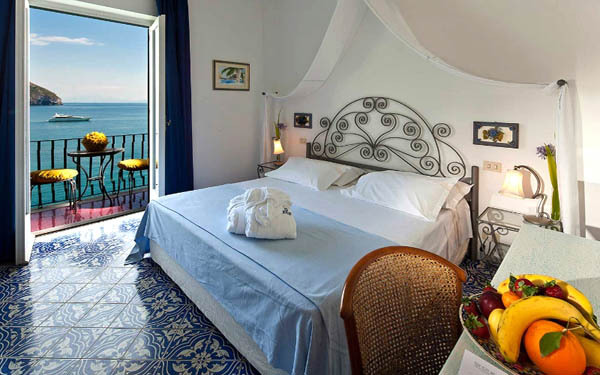 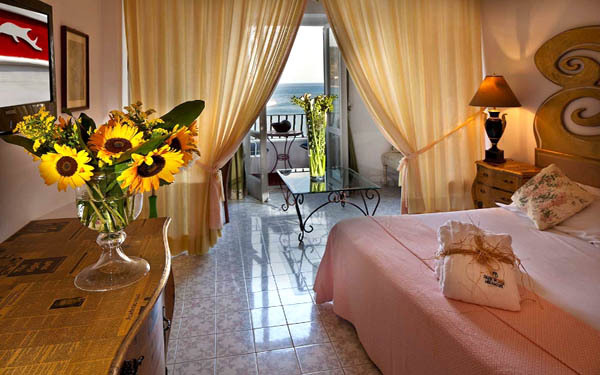 Hotel Miramare, the main accommodation property at the Miramare Sea Resort, boasts 55 rooms, all with a sea view, and these are divided into classic, superior, prestige and junior suite rooms. 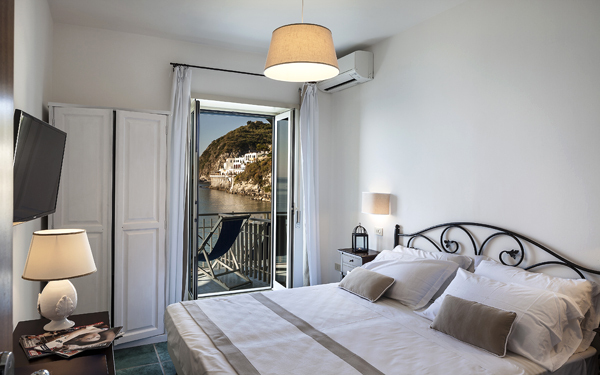 All rooms have an international dialling phone, air conditioning, satellite television with pay-per-view Sky cinema and sport, a minibar, digital safe box, hairdryer, dressing-gown, bathtub and shower. 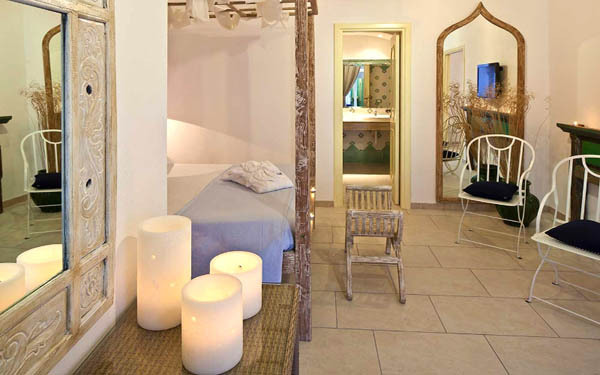 The 4 villas at the Apollon Club are home to 40 rooms, all of which have these services too, and they are split into classic, superior and prestige categories. 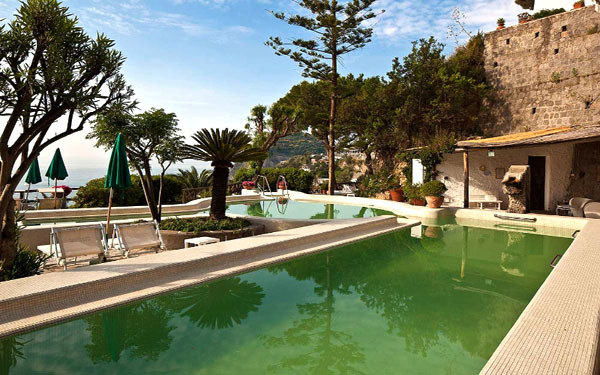 Lastly, the Luxury Villa boasts 6 rooms which all face the sea. 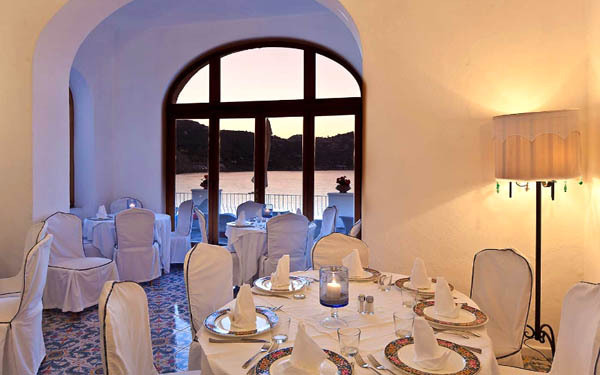 The complex has two restaurants. 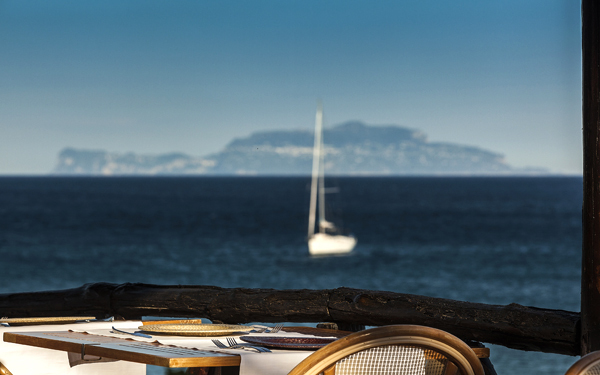 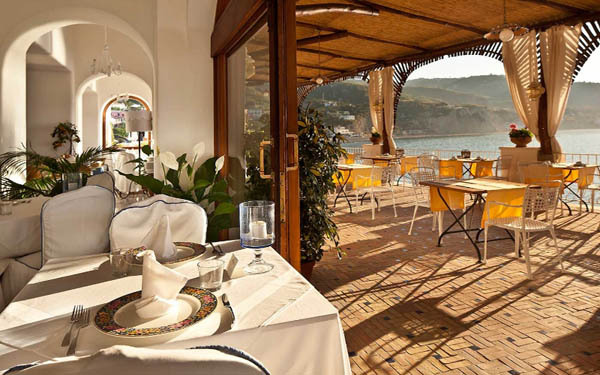 The Il Mare Restaurant, located at Hotel Miramare, serves up dishes from the Italian cuisine, made using organic, 0km products. 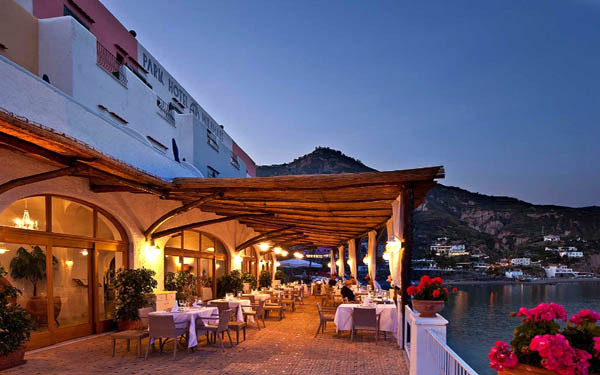 These ingredients are also used in the dishes from the local cuisine prepared at the Apollon Restaurant at the Apollon Club, which includes fresh fish dishes, fished from the surrounding sea, and top quality meat, and guests can enjoy all of this on the panoramic terrace. 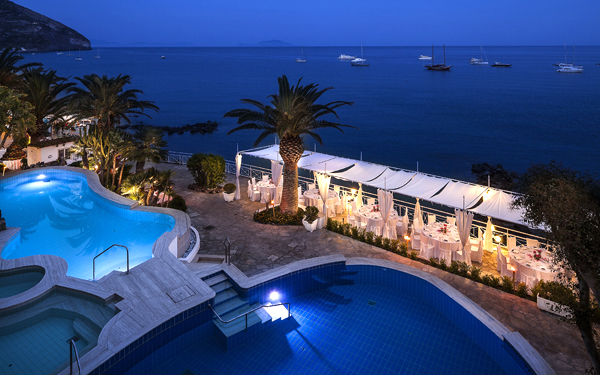 Both Hotel Miramare and Apollon Club have a bar: the more elegant one is located on a terrace that faces the sea, whilst the more informal bar in the Apollon Club’s central square boasts a view of the Maronti bay. 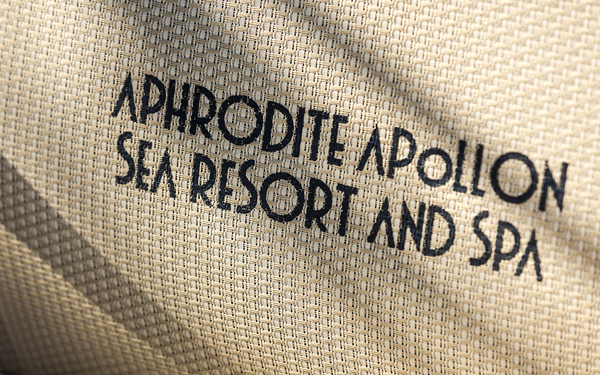 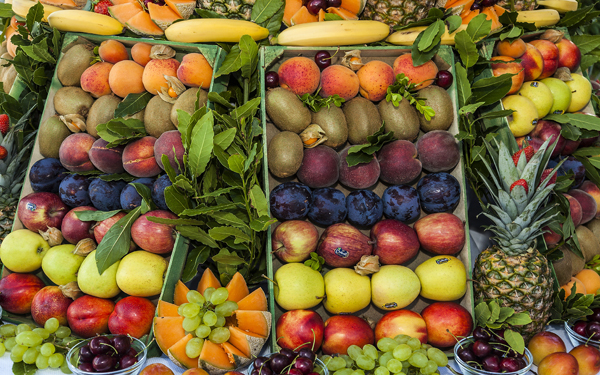 There is also a third bar, the Aphrodite Fruit Bar, located in the thermal park, where staff serve up organic and healthy products, fruit dishes and salads. 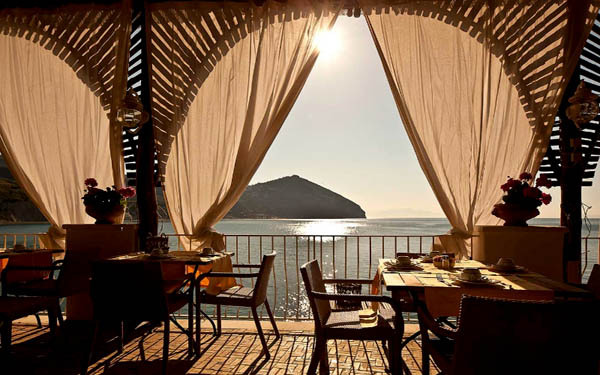 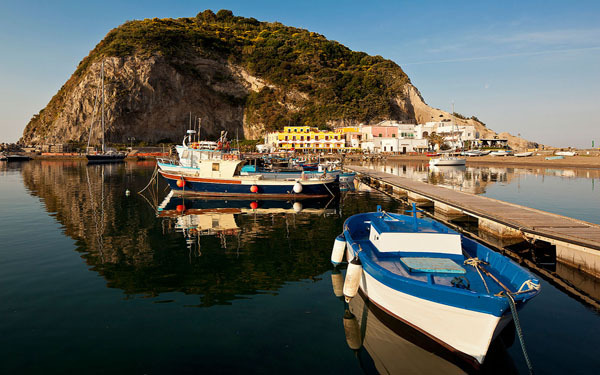 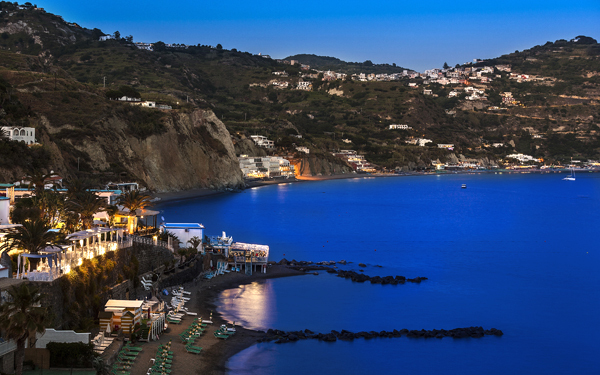 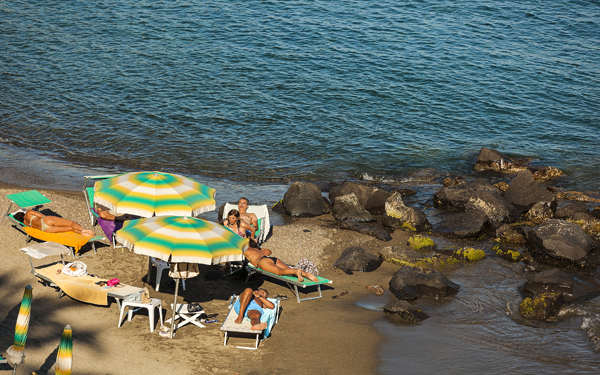 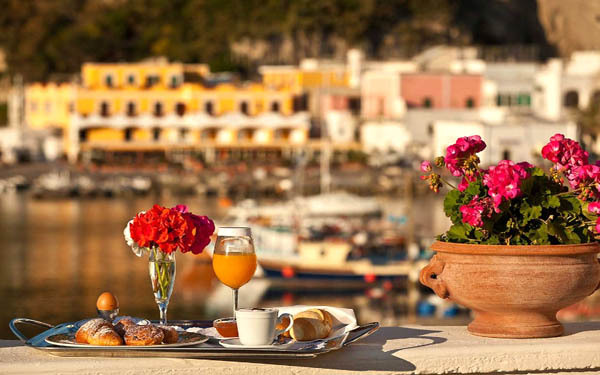 Ischia is not just about spas; it also offers seaside, archaeological and general cultural tourism. 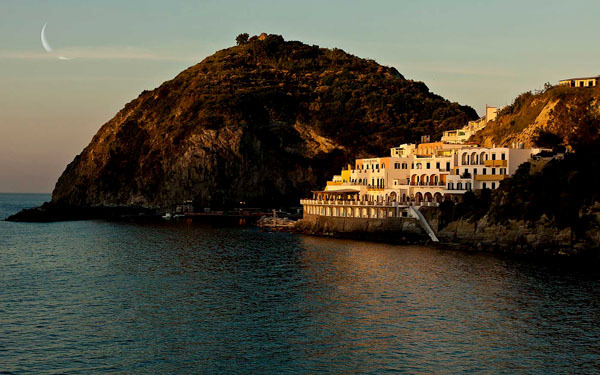 The archaeological and historic repertoire is very rich (interesting finds are preserved and can be admired in the Archaeological Museum of Villa Arbusto in Lacco Ameno), but the island’s main attraction is the Aragonese Castle, which lies in the centre of a fortified citadel on an island opposite the town of Ischia Porto, which it is connected to via a bridge. 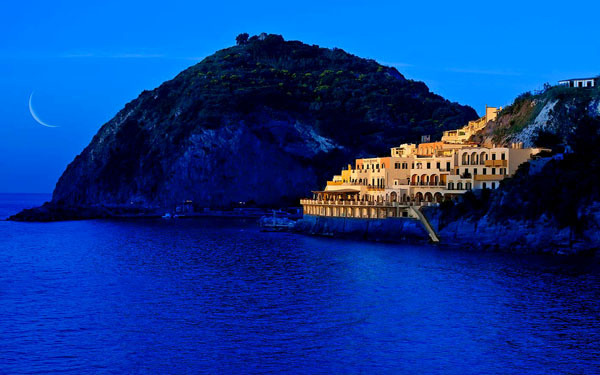 This castle was used for many years as a refuge for the population when they underwent frequent attacks from corsairs. 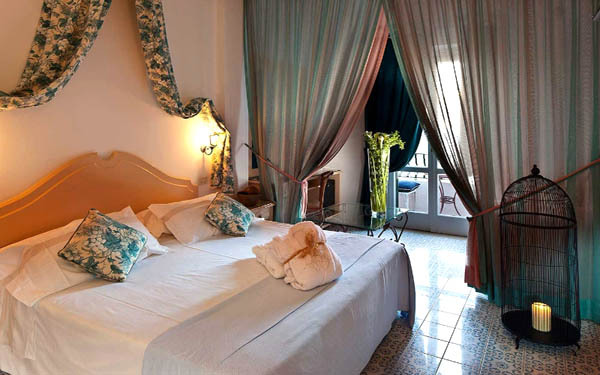 City tax: EUR 3 per person per night, up to 7 nights, to be paid at the hotel upon check out. 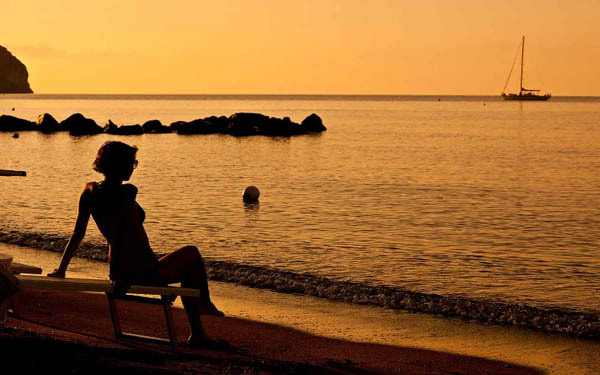 Are exempt children under the age of 18.